Nissin Foods, a Japanese company that makes instant noodles, has released an animated commercial message that seemingly enters the Studio Ghibli canon. 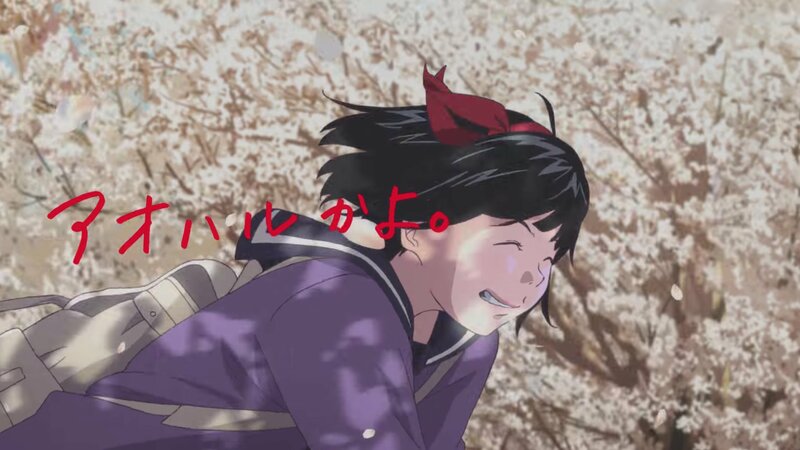 The ad extends the story of Kiki’s Delivery Service to a point four years after the end of the Ghibli classic. Kiki (voiced by Minami Hamabe) is now seventeen years old, still sporting her charming red ribbon, and is a student living in Yokohama with her cat Jiji. Her black witches dress has been replaced with a school uniform and she is finishing up high school with her inventor friend Tombo, voiced by Yuki Kaji (also the voice of Eren in the upcoming season of Attack on Titan). The advert, which sits in the same vein as the McDonald’s animated CM from last year, focuses on the magical and emotional aspect of young love—having Kiki deliver her feelings to Tombo four years after missing his party. After Kiki notices Tombo talking with another girl, she whisks him to a spot far above the city. With a light rain and beams of sunshine trickling through the clouds, Kiki finally confesses her feelings. At this point the logo for Cup Noodles flashes, and we become aware that these are the Hungry Days. Hungry Days, apparently, are days where you overcome fear, be brave, profess love, and enjoy instant noodles. You can watch the Hungry Days Cup Noodles ad here, and purchase Kiki’s Delivery Service on Blu-ray here.